Here at Outpost we strive to make the shipping process as efficient as possible. As such we process your order bright and early (08.00h) the very next working day (Monday → Friday). This means that any orders made during the weekend will be processed the very next Monday. Or alternatively you could say that any order made before 08.00h will be processed that very day. In the afternoon our preferred shipping company will pick up your goods so they can be sent to you post-haste. Local shipments are mostly handled by our close partner DPD, but (and this applies only to the Benelux) we sometimes employ Bepost as well. Any other shipments, usually those for countries further away from Belgium, are done through Taxipost. If you live in Belgium the estimated shipping time is one day. For customers in the Netherlands and Luxemburg we estimate about two days travel time. For the remainder of Europe times vary between three to five working days. This could be longer for international customers in Asia, Australia or the US. It might be useful to know that our central warehouse is located in Outpost Antwerp. Anything you see on our webstore is located there and it does take a little bit of time to move your goods to any of the other Outposts. If you selected that your parcel should be sent to a specific Outpost during checkout you will recieve an email confirmation when the package arrives. 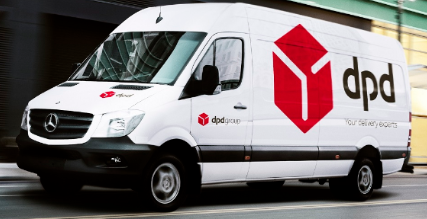 All shipping orders made through DPD are insured in case something goes missing. This means you will always get your money back should your order get lost. The only exception to this are very low-cost orders of single cards (such as those that only cost a few cents). Be advised that although our stores are usually always open the offices themselves are closed during official holidays. Now for some tables where you can find detailed prices on shipping. We ship all our products internationally to any and all countries so do not worry if your specific country does not appear in this list. If that is the case, and you would like to inquire on specific shipping rates for your region, you can always contact our webshop administration at this number: 03/613.09.21. All prices are in Euro.